If you're involved in buying or selling small-cap apartment properties in established San Diego neighborhoods, chances are you've recently run into Chris Mitchell, Steve Heimuli and/or Brett Bayless. They comprise the bulk of the acquisitions team at Crown Acquisitions Inc. - which, as its moniker suggests, is quite the acquisitive outfit at this point in the real estate cycle. Crown CEO Mitchell, who founded the firm in 2003, is quick to acknowledge he generally prefers to target larger multifamily communities - 50 units or more for the most part. It's a strategy that tends to provide more product for the given transaction costs, not to mention the operational scale economies, versus smaller properties. Interestingly, however, the Crown team these days faces challenges uncovering larger communities meeting its preferred property profile - and more importantly, its target going-in capitalization rate. This turnaround specialist pursues promising distressed properties in select Southwest markets (including Southern California), investing capital into interior and common-area upgrades while managing holdings under its trademarked "changing the way you live" motto. The firm has been focusing on the ready-for-recovery San Diego market since last year, purchasing a handful of smallish complexes primarily from lenders and servicers - and in some cases acquiring non-performing loans and finishing up foreclosure processes. Along the way Mitchell and company have also acquired quite the meaningful insight: at this stage in the cycle, lenders and owners are not disposing of larger apartment communities as aggressively as they are small-cap properties. "We'd been waiting for dislocation before getting active buying again," explains Mitchell, who cashed out most of his real estate holdings in 2006 in anticipation of post-bubble buying opportunities. "But we're just not seeing attractive pricing with larger properties," the top tier of which are often trading at cap rates of 5 percent - and even lower on occasion. Those returns just don't meet Crown's minimum going-in target of 7 percent (8-plus is more typical). To achieve acceptable immediate yields - and heftier IRRs over five- to seven-year holds - the Crown team has necessarily turned to properties of roughly 25 to 50 units. The San Diego communities Crown has acquired recently were mostly priced under $2 million. 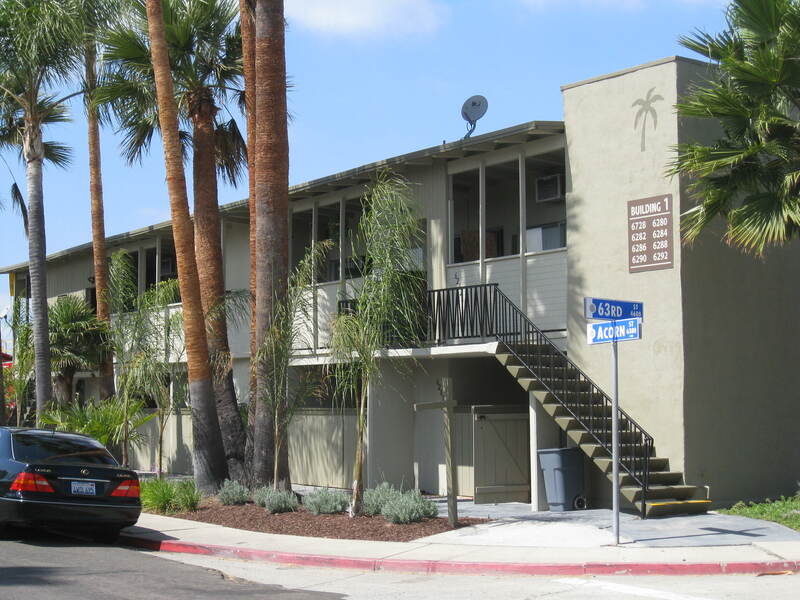 Crown purchased its newest holding - the 27-unit University Terrace - for $1.56 million utilizing $1.1 million in financing. Renovations will likely cost another $300,000. Other nearby acquisitions include the 32-unit Palms Patio on Acorn Street, and the 23-unit Las Brisas Apartments on South 47th Street. It helps to cluster smallish holdings that can be managed collectively, Mitchell relates. The firm focuses renovation dollars on improving interiors, but also likes to add common amenities such as bike racks and playground equipment in addition to better lighting and security features. Mitchell and company also work closely with city officials and community groups as they upgrade tenant profiles and revitalize properties - and, in turn, surrounding neighborhoods. Crown's typical financial strategy is to acquire communities with minimal leverage and hold them on its balance sheet before bringing in equity investors. It partners with preferred property management specialists in some cases, and also has access to some institutional joint venture capital. Mitchell prefers to keep long-term leverage at an LTV ratio of no more than 70 percent. Anticipating inflation, he's sticking with 10-year fixed debt - and finding attractive rates and terms on small-balance loans through Fannie Mae's 3MaxExpress program. The CEO is high on San Diego's prospects, believing the diverse local economy has bottomed out and can count on better days ahead. He's also anticipating that lenders and owners at some point in the not-too-distant future will start offering larger properties - distressed and stable - more aggressively.